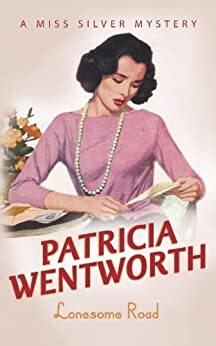 Lonesome Road is Patricia Wentworth’s third ‘Miss Silver’ novel, published in 1939. I read most of these in my teens, then never re-read any until I came across this one recently in an Oxfam bookshop. I remembered liking Wentworth’s sleuth almost as much as Miss Marple and found that hasn’t changed. The plot concerns Miss Rachel Traherne, a rich estate-owner with a strong sense of duty to her late father’s wishes and her extended family. She lives at Whincliff Edge, a large house situated on a cliff-top. It’s used as a second home by assorted relatives who come and go for free hospitality and the hope of hand-outs. A series of malign incidents make Rachel believe that one of her relatives is trying to kill her. Distraught with suspicion and fear, she consults Miss Maud Silver who had helped one of her friends. At the writing-table sat a little woman in a snuff-coloured dress. She had what appeared to be a great deal of mousy-grey hair done up in a tight bun at the back and arranged in front in one of those extensive curled fringes associated with the late Queen Alexandra, the whole severely controlled by a net. Below the fringe were a set of neat, indeterminate features and a pair of greyish eyes. In some ways Miss Silver has much in common with Agatha Christie’s Miss Marple and might be assumed to be inspired by her but actually, Patricia Wentworth got there first. Miss Silver makes her debut in Grey Mask – albeit in a small rôle – published in 1928, two years before The Body In The Library. Their chief similarity is the ‘invisible’ quality of old ladies. Suspects and murderers overlook them, not realising they’re being keenly observed. Unlike her famous contemporary, Miss Silver is a professional enquiry agent and lives in a flat in London. You get the impression she has a shadowy network of helpers to call upon to check background facts. Most business-like, Miss Silver makes lists of suspects, alibis etc. in her notebook. She has also had a previous career. I had some conversation with all your relatives. I find that the manner in which people behave to someone whom they consider quite unimportant is often highly illuminating. There’s usually a happy-ever-after for the leading lady and often for a young couple who never really made it to the suspect list. Agatha Christie too, sometimes united an attractive young couple along the way. Being an old cynic, I don’t want romance getting in the way of the murder! That apart, I really enjoyed Lonesome Road. Although out in 1939, there’s no reference in the novel to the gathering war. It’s set in a timeless interlude between the two World Wars and we’re never told which county we’re in. Patricia Wentworth must have had the south coast in mind as there’s a London Road in the area and characters can run up to ‘town’ for dinner. The atmosphere of the locale is very well done, especially near the climax of the novel when place and weather enhance the tension. The characters are believable, unsympathetic ones being particularly well-drawn. Like most vintage crime fiction, this is worth reading for the social history alone, an interesting snapshot of how the pre-war British middle class lived. Most of all I liked the vivid sense of fear and menace creeping through the story. Patricia Wentworth evokes a real feeling of danger, hatred and terror, especially in a pivotal scene and the exciting denouement. She was a very good writer and this is a terrific mystery. Miss Silver is interesting and a formidable ally. I’ll certainly be revisiting her again. 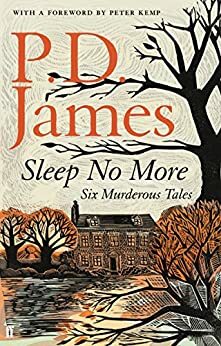 Sleep No More is the second collection of short stories by the legendary crime author P. D. James, published posthumously in 2017. I loved the earlier volume The Mistletoe Murder and Other Tales (2016) and hoped Faber would bring out another in time for last Christmas. Guaranteed best-sellers in slim hardbacks with stylish covers, it’s good that they’ll bring new readers to discover James’s elegant prose. (The British cover looks gorgeous but the American version is nowhere near as attractive as the first volume). This title comes from Shakespeare’s Macbeth. Subtitled Six Murderous Tales, there are two more than the first volume, though this time none featuring James’s serial detective Adam Dalgliesh. Though I’m not the greatest fan of short stories, much preferring the length and complexity of novels, these are some of the best I’ve read. Not a weak one among them, their standard is exceptionally high. In addition to her writing, P. D. James had a long and varied career of public service. This included serving as a magistrate and working in the criminal justice section of the Home Office. In her memoir Time To Be In Earnest (1997), she mentions my fascination with criminal law. She explored the failings of the legal system in her Dalgliesh novel A Certain Justice, published the same year. The stories here are linked by a theme of retribution and justice. Bad people may get their comeuppance but not through officialdom. We hear the dark thoughts of murderers – chilling in their ordinariness – and the testimony of unsuspected witnesses looking back many years. But does anyone really get away with murder? Killers, victims and bystanders are caught up in moral ambivalence and the ironies of fate. Each story is like a masterclass in plotting, character and – as always with P. D. James – full of wonderfully evocative atmosphere. They’re also pleasingly varied. A classic Golden Age plot is set during a wartime Christmas, a black comedy reminded me of Roald Dahl’s Tales of The Unexpected. Without the space – or need – for the conventional structure of a detective novel, they feel as though James was experimenting and having fun. Along with her acute psychological insight, there’s an air of wry humour throughout. An interesting sidelight on an author known for the bleak tone of her novels. Written from the 1970s to the 90s, Sleep No More is a superb set of stories that linger in the mind. It’s sad that there’ll be no more from one of the greatest ever crime authors. Few writers could evoke a sense of place so well. Is writing an historical mystery easy? I don’t think so. You need a great deal of knowledge about the period if you are going to get things right. People in history weren’t just individuals like us but in odd clothes. Take the world of the Victorians – for those of us living in Britain, the Victorians can seem very familiar. They weren’t so different from us. We can walk and sometimes live in the buildings they did. Many of our institutions are the same as theirs. We face, often, very similar problems. For the writer, this can seem reassuringly familiar. But there are differences too, despite some of our politicians wanting and often succeeding in crashing us back to Victorian Values. There is much about the Victorian landscape that’s quite fascinating. But there’s a lot we don’t miss. When I wrote The Shadow of William Quest, I concentrated on the appalling injustices of the Victorian Age. My character, William Quest, is a far-sighted reformer, a righter of wrongs. In the sequel, Deadly Quest, he plunges four-square into the unpleasantness of the Victorian underworld. But, although I’ve a degree in Victorian history, I’m not writing a history book. I’m penning a novel, an historical mystery. What the Victorians themselves would call a Penny Dreadful, or a Shocker. Both the Quest books are adventure stories, thrillers, though they are very much rooted in the realities of mid 19th century Victorian England. Some writers get carried away with their love of research. You will always find out far more about the historical period than you will ever use. If, when reading the novel, the research stands out like a history essay, then you’ve got it wrong. You need to drip-feed information. If it’s not strictly relevant to the story, then it shouldn’t be there. However interesting the fact you’ve found out, if it holds up the story and its action it don’t put it in.. Readers read fiction to be entertained. They might welcome learning something new about the historical period, but that should be the limit. Save the detailed research for a non-fiction history book. It’s important that you should know, but you don’t need to pour it all out into the pages of your novel. I’m now writing the third William Quest story – and this one will be set in the English city of York. A place famous now for its Roman and Viking history, more than its Victorian past. But in fact it had its own rookeries and criminal underworld. As someone who loves York, it is fascinating exploring and utilising a non-London setting. And enthralling trying to write my own take on the Penny Dreadful or Shocker. I’d always wanted to write a book set in Victorian times, not least because much of the Victorian world is still familiar to those of us living in the UK. As we wander through the streets of Britain we can – if we lift our eyes above the modern fascias on the shops – still see what our Victorian forebears saw. The same street patterns, by and large, many of the same buildings, and the much of the landscapes they knew. Too much has been lost, and we should be saving what is left, but the Victorian street map may still be traced. If we could travel back in time, we could enter the 1850’s world of William Quest with little difficulty. Though there would be some surprises. It could be a brutal world, not as settled as some people have implied. There are many Victorian Values that deserved to be relegated to the history books. My William Quest is a radical. His ideas bore fruit, though it doesn’t always seem like it. I’ve always been interested in Victorian Britain, since the subject was taught at my primary school. Much of our great literature was written in the 19th century. Reading those classic books plunges back into that world. We are – for good or bad – still little Victorians in so many ways. I knew some Victorians, of course, though they were all born late in the period. Nevertheless, I remember them well, their attitudes and the way they talked. My grandparents were Victorians, though they were all very young when the old Queen died. For quite a time, I moved away from Victorian history, into other periods. As some of you will know, I also write historical novels about Robin Hood – Loxley, Wolfshead and Villain, with a fourth book out next year, so I have a passion for that period. For a long time I’ve had an interest in the English Civil War. I like the Anglo-Saxons too. The Victorians tended to go on the back-burner. Then, thirty years ago I became an undergraduate of the Open University, doing an arts course that was almost entirely Victorian. After a couple of years, I went as a full-time undergraduate to the University of East Anglia. My major was literature, though I did a minor in 19th century social history, some of which looked at the Victorian underworld. It all stayed in my mind, though work pressures kept the writing of fiction at bay. I did, however, write the texts for a series of topographical books about the towns and landscapes of England – and much of that was Victorian. I spent nine years working as chief executive of the Dartmoor Preservation Association, founded in 1883 and very proud of its Victorian campaigning roots. The Victorians never quite went away. I wanted to write a novel with a slightly dubious hero set in Victorian times, a kind of Penny Dreadful, the kind of pulp literature of action and derring-do that the Victorians themselves enjoyed reading – though they’d often pretend that their literary tastes were a tad more pretentious. I’ve always loved such tales myself, and used to hunt them out when I was an undergraduate. They were all good fun, sometimes morally dubious. But a reading of them tells a lot about Victorian popular taste. I go as far as to state that you cannot grasp the complexities of Victorian society if you don’t read them. Published in 1937, this is Ngaio Marsh’s fourth novel and the first one set in her native New Zealand. This background adds a fascinating slant on a most British of plots – murder in the theatre – transposed to what would then have been termed life in the Dominions. The novel begins with an impressively well-written first chapter. The suspects are introduced via one of my favourite tropes, a long-distance railway journey. Give me a steam-train travelling through the night and I’m hooked. All those possibilities for skullduggery with corridors and sleepers. The train here is particularly interesting with viewing platforms and a mountainous, switchback line. Chief Inspector Roderick Alleyn is on holiday and trying to keep his profession under his hat. Not easy when your cases get written up in The Tatler. He’s been offered a seat in a carriage occupied by a company of actors. The Carolyn Dacres English Comedy Company are touring New Zealand and on their way to the city of Middleton in the North Island. Ngaio Marsh explains in a foreword that she was no fan of fictional towns. But New Zealand had so few sizable places, if she used Auckland or Wellington, her local characters might have been mistaken for portraits or caricatures of actual persons. A violent jerk woke him. The train had slowed down. He wiped the misty window-pane, shaded his eyes, and tried to look out into this new country. The moon had risen. He saw aching hills, stumps of burnt trees, some misty white flowering scrub, and a lonely road. It was very remote and strange. Away in front, the engine whistled. Trees, hills and road slid sideways and were gone. Three lamps travelled across the window-pane. They were off again. Throughout the opening chapter, I liked the way that the rattling, rolling rhythm of the train journey was interspersed between dialogue, making the reader feel truly in the scene. There’s a very visual feel to the writing, probably a consequence of being a renowned theatre producer. The murder takes place on stage after a performance. A party is held to celebrate the leading lady’s birthday and a few guests outside the company are invited. These include Alleyn and a distinguished, Maori doctor. The build-up of tension is deftly handled and the murder method is worthy of Midsomer Murders. The unusual means of dispatch, popular in pre-war mysteries, are great fun. 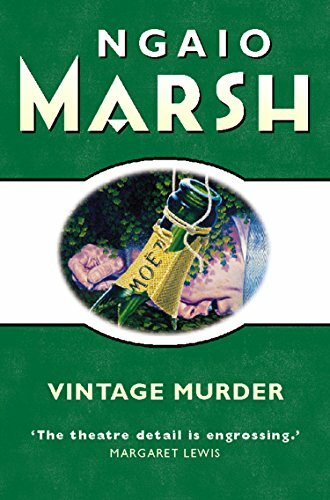 Ngaio Marsh often went in for a flamboyant slant on the murder method, possibly influenced by Dorothy L. Sayers? And if some of these wonderful writers’ ingenious ideas wouldn’t bear too close an examination, who cares? The play’s the thing.. I love a theatrical setting, it offers so much scope for being seedy and sinister. Ngaio Marsh writes about this world with an ease that can’t be faked. She acted herself and is credited with almost single-handedly reviving the popularity of New Zealand’s theatre. Not surprising that her characters are very believable theatrical types. Mr. Liversidge added that Courtney Broadhead was a white man, a phrase that Alleyn had never cared for and of which he was heartily tired. Rory Alleyn cuts quite a lonely figure in Vintage Murder, writing to his side-kick Inspector Fox and coming close to falling for the leading lady. Until he meets his wife Agatha Troy, he has a weakness for actresses, shown in Enter A Murderer (1935). We’re told that Alleyn’s on extended leave for three months, convalescing from a serious operation, though we don’t learn the details. He’s going to be fine as he meets Troy on his voyage home in Artists In Crime (1938). Vintage Murder is a very enjoyable read, a classic, closed setting mystery with a freshness from its vivid New Zealand background. I’m usually dubious about series sequels/continuations by new authors – appalled by what’s often done to Agatha Christie’s legacy. But I will try Stella Duffy’s new novel Money In The Morgue, published in March. This continues the opening chapters of an Alleyn mystery which Ngaio Marsh began and put aside in 1945. Set in New Zealand during the war – Alleyn was already there in Colour Scheme (1943) and Died In The Wool (1944) – the surviving fragment is a delight. The film depicts the ditching of the first wartime Prime Minister, the hapless Neville Chamberlain (excellently played by the marvellous Ronald Pickup), and his surprising replacement by Churchill. Politically, it was a choice between Churchill and the Nazi appeaser Lord Halifax – of whom more later. Churchill was written off in the 1930s as a maverick politician with an obsession about the dangers of Hitler. For the previous decade, Churchill had warned of the danger from the Third Reich. He was ignored and ridiculed. But he was right. If Hitler had been crushed in his early days, the world would have been spared a great deal of misery and tens of millions lives would have been saved. A lesson for people today as politicians with totalitarian ambitions emerge. Now I should state here I’m not Churchill’s greatest fan (he was a very dubious domestic politician), but he was probably the best choice as a war leader in 1940. There is no doubt that if Lord Halifax had become Prime Minister we’d have seen the triumph of Hitler and an almost unimaginable new dark age. The struggle against British pro-Nazis and appeasers is of interest to me because I made a considerable study of its implication while researching my thriller Balmoral Kill. Set in 1937, it deals with a conspiracy to put the pro-Nazi Duke of Windsor (the recent King Edward VIII) back on the British throne as a puppet for Hitler. My novel is fiction, but there is a huge amount of truth in it. Many of the politicians and great landowners desperately wanted to sell Britain out to Hitler, many because they dreaded war, some for their own profit and survival, and others because they were avowed Nazis. They dominated and mostly controlled the Conservative Party and loathed the thought of the maverick and off-message Churchill gaining control. Churchill had to battle, at least initially, against a British Establishment that wanted nothing to do with taking on Hitler. It was one of the lucky breaks of history that Churchill became Prime Minister when he did. Lord Halifax as PM would have been a disaster. History has proved that Churchill made the right call in Britain fighting on alone against Hitler. As a politician of many decades, Churchill got a lot of things wrong and I’ve little political sympathy for many of his attitudes. But in the 1930s, he was right to insist that Hitler and his philosophy needed to be wiped from the face of the Earth. Below the link for my novel is a further essay on just how much Hitlerian ideas had permeated the British Establishment. It is at first sight the very stuff of romance: the King who gave up his throne for the woman he loved. Growing up in England in the 1960s it was still a tale on the lips of the older generation, the Abdication of Edward VIII in December 1936, so that he might marry the American socialite Mrs Wallis Simpson. Had it not happened we may never have had Edward’s brother King George VI on the English throne during World War Two, or the present Queen reigning to this day. In my youth there was still a feeling of distaste amongst older people that a popular monarch had been forced from the throne by a po-faced Establishment. Although a lot of the people detested Mrs Simpson, they were equally uneasy about the role played by other members of the royal family. I suspect I could have asked at random a number of people who were alive at the time and there would still be a feeling of betrayal. The affair with Mrs Simpson was kept from the British people until the last moment. Although it was widely reported in the American press, the British press barons made a “gentlemen’s agreement” with Buckingham Palace to keep the intrigue under wraps in Britain. That was the story as I heard it as a child. But it is a mere percentage of the whole truth. Only in recent years has more of the background to the Abdication come out. And a lot more about the character of King Edward VIII, who became the Duke of Windsor after his abdication. I have recently published an historical thriller, Balmoral Kill, which is set several months after the Abdication. In my book my characters have to deal with the very real crisis that overhung Britain in the period between the Abdication and the outbreak of World War Two in 1939. The idea for the novel occurred to me several years ago when I saw a television interview with an elderly gentleman who had served as a British army officer in the events leading up to the fall of France in 1940, and the evacuation of the British army from Dunkirk. After arriving safely in England he had been billeted with an aristocratic family in southern England during the period of the Battle of Britain. He had said in the interview that he had been quite shocked when he found out that a number of landowning families thought that Britain should surrender to Hitler so that they might preserve their landholdings. I was aware, of course, that there was a great deal of sympathy for Hitler in the British Establishment during the 1930s. This was in many cases quite overt. Even mainstream British newspapers such as the Daily Mail regularly heaped paeans of praise on the Third Reich, and published membership forms for Sir Oswald Mosley’s British Union of Fascists so that their readers might have the opportunity to join. There was also a strong pacifist belief. Britain was still shocked by the slaughter in the trenches of the First World War. Many people thought that almost any accommodation with Nazi Germany was well worthwhile if it prevented another war. These individuals genuinely believed that Hitler would not interfere with Britain and its Empire if he was left alone. So deep was the fear of war that many chose to turn a blind eye to what Hitler as doing in Europe. And while the majority of the British people were wise enough to have no truck with fascism and Hitlerism, there were elements of the British Establishment who thought that Hitler should be either appeased – the majority – or embraced – a very substantial minority. Indeed, appeasement was the policy of the British government, firstly under Prime Minister Stanley Baldwin and then his successor Neville Chamberlain. Well-meaning politicians both who simply couldn’t accept that anyone could be as evil and devious as Hitler. Former Prime Minister David Lloyd George visited Hitler in 1936 and was full of praise, considering him the “George Washington of Germany”. Newspaper barons Lord Northcliffe and Lord Rothermere, who were to be instrumental in hushing up King Edward’s affair with Wallis Simpson, were lavishly entertained by Hitler and subsequently praised him in their newspapers. Even as late as May 1940, the British Foreign Secretary Lord Halifax, an arch appeaser himself, said that he had been “deluged with letters from a number of the nation’s greatest aristocrats imploring him to propose a policy of surrender and appeasement to Hitler, so that they might keep their great estates.” At the time King George VI favoured Halifax as Prime Minister instead of Churchill. As a writer, I was interested in just how far people would go to keep Britain out of the war or to try and bring Nazism to Britain. I was fascinated with the notion that Winston Churchill, grandson of a duke, and a fully paid-up member of the British Establishment, was prepared to jeopardise his own political career to put forward a contrary point of view. To warn the British people of the dangers of Hitler right from the beginning. For much of the 1930s Churchill was a voice crying in the wilderness, unheeded and even laughed at. But history was to prove that his minority voice was wiser that of the cacophonous roaring of the appeasers and fellow-travellers of the Nazi regime. Researching further, I was surprised to find just how deep the roots of Nazism went into the very depths of the British Establishment. Edward VIII, or the duke of Windsor as he became after the Abdication, does not actually appear at all in my novel Balmoral Kill, though his shadow drifts across, and is the motivation for, much of the plot. His brother and successor George VI does make a brief appearance. The British royal family had had an uncomfortable twentieth century in many ways. In World War One, following air raids on London, they had been obliged to change their surname from the Germanic Saxe-Coburg -Gotha to Windsor, at a time when shops and businesses with German names were being attacked by mobs in the street. For two hundred years, from the accession of King George I, the family had been essentially German, considering German their first language over English. World War One had brought along the embarrassment of finding their country at war with King George V’s cousin, Kaiser Wilhelm II. As the 1930s progressed a number of their other German cousins were very obviously embracing the policies of Hitler’s Third Reich, at least one of their relatives even being an officer in Heinrich Himmler’s dreaded SS. All through the 1930s Edward VIII, both as Prince of Wales and King, entertained many Nazis on their visits to Britain, including von Mecklenburg – a notorious member of the SS – in 1933. Edward took great pains to excise any mention of the visit from the official Court Circular. He was on friendly terms with Joachim von Ribbentrop, the Nazi ambassador to London. Wallis Simpson may well have been on even friendlier terms with Ribbentrop. The talk of London was that she was having a sexual relationship with the ambassador at the same time that she was courting King Edward. Ribbentrop sent her seventeen red roses every morning during their time together in the British capital. Edward hated the very concept of democratic monarchy. He wanted to be a king who ruled as well as reigned. He spoke on many occasions as to his regret that Britain and its people couldn’t be “controlled” by one ruler in the way that Hitler led Nazi Germany. Even in the pro-appeasement British Establishment the alarm bells were beginning to ring. In December 1936, King Edward VIII, who had reigned for less than a year, abdicated, when the Church of England made it quite clear that no British king could marry a divorcee. It was sold in the newspapers that were sympathetic to him as a touching and very moving love story, the very essence of tragic romance. How far the church and other elements of the establishment were pressured to jettison a king who had become a political liability, using his romance as an excuse, is still open to debate. But there were elements in British Intelligence, already contemplating the need to fight Hitler, who were thrilled to bits. His successor, his brother Albert, became King George VI. As it happened the new king also favoured a rapprochement with Germany, though not to the pro-Hitler extent that Edward had favoured. But, as far as British Intelligence was concerned, the removal of a solidly pro-Nazi king like Edward was a step in the right direction. Winston Churchill despaired of Edward, or the duke of Windsor, as I shall call him from now on. He had loathed the very idea of the Abdication and was personally fond of the duke. There is little doubt that he thought that the duke should have kept the throne and, initially, viewed his extreme politics and sympathy with the Third Reich as a fad that he might grow out of. In the years that followed he changed his mind. In 1937, the duke and duchess of Windsor made a visit to Germany that acquired considerable notoriety. To Churchill’s dismay they sailed to the country on the German liner Bremen, giving the Nazis a propaganda coup. During their time in Germany the pair visited a Nazi training school, inspected the already murderous SS and had tea with Hermann Goering. A few days later they dined with Hitler’s propaganda chief Dr Josef Goebbels. On 22 October 1937, the duke and duchess had a private and reportedly very friendly meeting with Adolf Hitler. On several occasions during the tour, the duke was to be seen making the infamous Nazi salute. The duke and duchess settled to live in France and stayed there after the outbreak of World War Two. As a serving British army officer, the duke carried out inspections of France’s defensive Maginot Line. The suggestion has been made (see Martin Allen’s book Hidden Agenda) that he sent classified information about France’s defences to the Nazis, care of his friend Charles Bedaux, an American businessman who was spying for Hitler. The truth regarding this alleged treachery may never be known. Bedaux committed suicide in 1944 after being arrested by the FBI. The Windsors were hastily moved to Lisbon when France fell to the Nazis in 1940. But even in neutral Portugal, the duke of Windsor was thought to be in contact with well-known Nazi officials and the Abwehr, German military intelligence. In despair, the British government decided to ship the couple off to the haven of the Bahamas, a British colony where they could be kept from German influence. At first the duke refused to go. A despairing Churchill reminded the duke that he was a serving British officer and that he would be court martialled if he refused to obey this direct order. It was around this time that J. Edgar Hoover, head of the FBI, on the direct order of President Franklin D. Roosevelt, ordered surveillance on the couple, noting that the duchess in particular, still an American citizen, “was exceedingly pro-German in her sympathies and connections.” FBI files noted a great many links between the couple and the Nazis. My own researches suggest that there is little doubt that the Third Reich favoured the return of the duke of Windsor to the British throne, almost from the time of the Abdication and his visit to Hitler in 1937. The duke of Windsor himself almost certainly considered such a possibility. How far he would have gone, if the circumstances had allowed it, is debatable. I doubt, for instance, that he would have tolerated the assassination of his brother and successor George VI, though had anything removed King George from the throne in any other way, there is a possibility that he might have returned either as king or regent. I based the plot of Balmoral Kill, and I must stress that my book is an historical thriller and not a history volume, on the possibility that certain elements of the British Establishment contemplated such a scenario. Although in reality matters never went as far as I have imagined in my pages, there is little doubt that the idea behind it was given much serious consideration amid less patriotic elements of the British elite. It was only after doing further research into the period after I had finished writing that I realised how close I had got to some sort of truth. Joachim von Ribbentrop certainly proposed that the duke of Windsor should become a puppet king if Britain fell to invasion in 1940, and King George VI and his family fled to Canada. Buckingham Palace was bombed no fewer than nine times during the London blitz. At the Nuremburg Trials, Ribbentrop said that he had personally offered the duke 50 million Swiss francs if he would make a claim on the British throne. The duke of Windsor denied that any such sum had been offered. King George VI, overcame his shyness and his stammer and became a considerable figurehead for British resistance during World War Two. On his premature death in 1952 his daughter Princess Elizabeth became the present Queen. The duke and duchess of Windsor lived quietly in Paris, the duke dying in 1972 and the duchess in 1986. Their connections with Hitler’s Germany were skated over in their respective memoirs. But at the end of the war, a military intelligence officer, Anthony Blunt, later Sir Anthony Blunt, subsequently Surveyor of the Queen’s Pictures, was sent to Germany by officials at Buckingham Palace with the task of seeking out and removing from the Nazi archives any documents that might incriminate members of the royal family. Any papers he found were probably secreted in the Royal Archives at Windsor Castle. Many years later, Blunt was discovered to be a spy for Soviet Russia. His only real punishment for treachery was the removal of his knighthood. The British public were amazed at this mild treatment of a traitor. Suggestions were made at the time, and have been since, that he was protected because he knew too much. If we are ever to know the absolute truth about the relationship between the duke and duchess of Windsor and the Nazis, then the relevant files are probably in the archives of the United States. As late as 1953, Winston Churchill, British Prime Minister for the second time, asked President Dwight D. Eisenhower to suppress any FBI documents that might suggest that the duke and duchess of Windsor were sympathetic – or even worse complicit – in the activities of the Nazi regime. Sometimes when you write a work of fiction based on real events, you find that the events themselves are more astonishing that anything that could possibly be imagined.